Why do we seek prosecution of Rajavi? The Iraqi newspaper “assabah” stated in its 23rd of January issue that fresh documents have been found which leave no doubt that the Mojahedin-e Khalq Organization (MKO – Rajavi cult) took part in suppressing the Iraqi people and has supported terrorist acts inside the country. The article refers to the cult’s terrorist acts against the people of Iran, crimes against the people of Iraq even after Saddam Hussein was toppled, and confining and torturing and even murdering its discontented members inside Ashraf military garrison. The accounts referred to in this article in interviews by the governor of the city of Khalis as well as the chief of police of Diyala province had a great impact in the Iraqi media and media circles. These statements were quoted by a number of Iraq media which also covered the interview. It is obvious that the Iraqi judiciary system and the government and politicians of Iraq as well as the people of this country seek Rajavi’s prosecution and trial and seek expulsion of the members of his cult from Iraq. Nowhere in the world has a foreign terrorist group been granted by the Americans so much privilege inside a host country that it could be considered a government within a government. This is of course the legacy left by Saddam Hussein for the people of Iraq, and the American forces still impose it on them supposedly for their own political interests. Massoud Rajavi and the heads of his cult have a huge file in the Iraqi judiciary which is truly bigger than the one of Saddam Hussein and his aides. 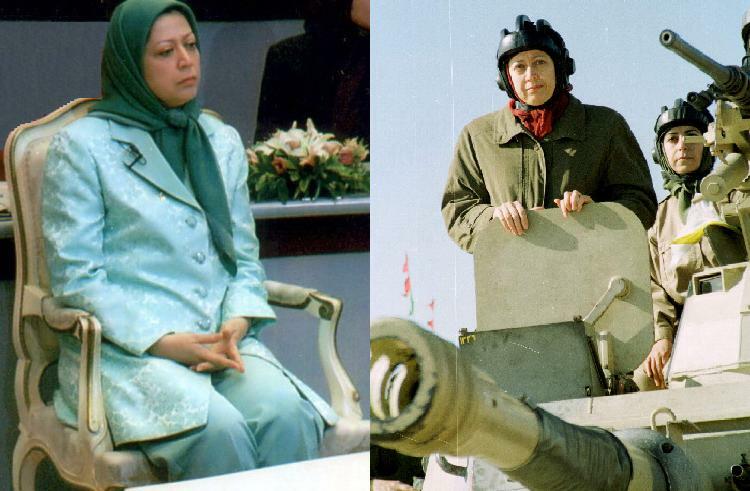 But the trial of the leaders of the cult has had the same fate as Maryam Rajavi’s file in Paris – she was arrested and charged with attempting terrorist activities against defectors and fraud and money laundry more than seven and a half years ago and she is still waiting trial – since for the time being she has been hired by the Americans and the Israelis. The former members of the Rajavi cult and the families, as well as the families of the victims of terror and violence in Iraq and in Iran, have many claims filed against the cult and its leaders in the Iraqi courts. Each of these complaints which contain firm evidential documents is enough to put any person on trial. But the story for Rajavi, who has established one of the most destructive and notorious cults of personality and mind manipulation in history, is different since some imaginary political interests are at stake. The Sahar Family Foundation has always welcomed the trial of Massoud Rajavi for his deeds, particularly against the members and the families. Such a trial should definitely take place with the presence of international observers according to all internationally acknowledged rules and regulations while accepting the recognized rights of the defendant. Our demand is not taking revenge and we do not even seek ordinary justice. We believe that the world must be aware of the destruction brought about by cults to society and the security of society. No one should any longer be trapped by a brainwashing system. No longer should the idealistic youth who desire to struggle for freedom and justice be allowed to be deceived into a mind manipulation organization. A young man stands in front of graffiti in Liberation Square during a celebration over President Hosni Mubarak's stepping down February 11 in the Egyptian capital Cairo. The dramatic changes in Egypt brought about by a people weary with western backed dictatorship and harsh repression which has imposed cruel injustices on the population for thirty years, have caused ructions in the parasitical agencies which have fed off this situation. Along with the closure of the Israeli embassy, the constant movement of foreign secret service offices in Cairo, a safe house and a dormitory of the Mojahedin-e Khalq in Cairo has been deserted and the personnel have been rushed to one of their bases in Jordan. According to our source (an Egyptian official who has now joined the people) the MEK base in Cairo has been left abandoned with all the belongings left in place. Apparently the Jordanian authorities are not happy to see an expansion in the number of MEK operatives in their capital, but the Mossad agents in charge of the move have ignored the complaints of the Jordanians and have moved the MEK to a new hide out (one semi-clandestine office and two houses near the office of Saddam's daughter). The Jordanian authorities are naturally wary of the ongoing daily demonstrations against their newly appointed government and do not want more trouble imposed on them. Media reports say that the Israeli Embassy in Cairo has been shut down following the transfer of power from Hosni Mubarak to the Egyptian military. The report comes while a senior Israeli official said earlier on Friday that it was too soon to speculate about the consequences of Mubarak's resignation. “It's too early to foresee how [the resignation] will affect things,” the official was quoted by Reuters as saying. The report followed the transfer of power from Mubarak to the Supreme Council of the Egyptian Armed Forces, which is headed by Defense Minister Gen. Mohammed Tantawi. Egypt's main opposition party, the Muslim Brotherhood, called for the establishment of a civilian government and constitution that "guarantees freedom and human rights." The transition of power to the military comes while Mubarak, Vice President Omar Suleiman and Prime Minister Ahmad Shafiq are all former military men. Analysts believe despite the transition Mubarak would still remain in power. The shooting in El-Kharga came as protestors took over several government buildings in major cities across Egypt on Friday. The last time that live bullets were used against protesters was on Wednesday, when six protesters were killed and hundreds of others were injured -- some of them critically. More than 20,000 Egyptians have marched towards the City Council in the port city. This is while, a huge crowd of pro-democracy protesters have already gathered in Cairo's Liberation Square. Aside from Cairo, Alexandria and the port city of Suez have also been the scene of large protests since the country's pro-democracy rallies began 18 days ago. stepping down February 11 in the Egyptian capital Cairo. The revolution in Egypt has turned the military rulers' fear campaign on themselves, requiring Egyptians to maintain pressure until a civilian government takes charge, says an analyst. “My assessment is the fear, which is for the population to be afraid of the regime, has changed camps. The people are no longer afraid. They have shown that they can overturn an oppressive government,” Said Zulficar, a political analyst, said in an interview with Press TV on Friday. His comments came on the heels of a brief announcement by the Egyptian Vice President Omar Suleiman on Friday, in which Suleiman said that the embattled Egyptian President Hosni Mubarak had "abandoned the presidency" and handed over power to the Supreme Council of the Egyptian Armed Forces, which is headed by Defense Minister Gen. Mohammed Tantawi. Zulficar, however, cautioned Egyptians against complacency in their struggles for democracy and said that the country's ruling military has merely employed a shape-shifting strategy by leaving Mubarak out. Mubarak's resignation has triggered celebrations among millions of protesters in the Egyptian capital, Cairo, and other cities across the North African country. Opposition groups, including the Muslim Brotherhood, however, have called for the formation of a civilian-led government. Habilian Association, an Iran-based human rights group, in a letter called on the US officials to drop support for the anti-Iran terrorist Mojahedin-e Khalq Organization (MKO) which has carried out numerous terrorist attacks against both Iranian and foreign nationals in the last four decades. "To conduct a real campaign against terrorism, we, the families of terror victims, expect you to stop supporting and making an instrumental use of the terrorist groups, including the terrorist and anti-human group of Mojahedin-e Khalq, as a tool and move towards the total annihilation of terrorism," a letter by the group said on Tuesday. Referring to the dark record of the MKO, the letter reminded that the terrorist group is one of the most hated terrorist organizations in the Middle-East, specially among the Iranian, Iraqi and Kuwaiti people. The letter described assassination of seven American attaches and counselors and thousands of other innocent people as well as bomb attacks, plane hijack, aggression, armed robbery and money-laundering as among the other crimes committed by the terrorist group. The MKO has been in Iraq's northern Diyala province since the 1980s. Iraq's security forces took control of Camp Ashraf and detained dozens of the members of the terrorist group last year. The Iraqi authority also changed the name of the military center from Camp Ashraf to the Camp of New Iraq. The MKO, whose main stronghold is in Iraq, is blacklisted by much of the international community, including the United States. Some other ranking members of the MKO who have had a role in the assassination of a large number of Iranian citizens and officials are currently living in France. The group started assassination of Iranian citizens and officials after the Islamic Revolution in a bid to take control of the newly established Islamic Republic. It killed several of Iran's new leaders in the early years after the Revolution, including the then President, Mohammad Ali Rajayee, Prime Minister, Mohammad Javad Bahonar and the Judiciary Chief, Mohammad Hossein Beheshti who were killed in bomb attacks by MKO members in 1981. Many of the MKO members have abandoned the terrorist organization while most of those still remaining in the camp are said to be willing to quit but are under pressure and torture not to do so. A May 2005 Human Rights Watch report accused the MKO of running prison camps in Iraq and committing human rights violations. According to the Human Rights Watch report, the outlawed group puts defectors under torture and jail terms. Numerous articles and letters posted on the Internet by family members of MKO recruits confirm reports of the horrific abuse that the group inflicts on its own members and the alluring recruitment methods it uses. The most shocking of such stories includes accounts given by former British MKO member Ann Singleton and Mustafa Mohammadi -- the father of an Iranian-Canadian girl who was drawn into the group during an MKO recruitment campaign in Canada. Mohammadi recounts his desperate efforts to contact his daughter, who disappeared several years ago - a result of what the MKO called a 'two-month tour' of Camp Ashraf for teenagers. He also explains how the group forces the families of its recruits to take part in pro-MKO demonstrations in the western countries by threatening to kill their loved ones. Lacking a foothold in Iran, the terrorist group recruits ill-informed teens from Iranian immigrant communities in western states and blocks their departure afterwards. The Iraqi Committee supporting the Iranian families picketing outside Camp Ashraf wrote a letter to the UK parliamentarians who have apparently backed the MKO (Rajavi cult) to stay in Iraq without knowing the truth. A copy of the letter - which follows below - has been sent to the Iraqi government and international bodies. We as a support committee, in respect of our humanitarian duty, asked the MKO to allow the picketing Iranian families to visit their loved ones in Camp New Iraq (aka Camp Ashraf). This request has been made as a humanitarian plea. These families, who are mostly elderly people, have been staying in poor conditions for more than ten months. The MKO’s refusal to allow these visits is against any international values and principals and also against the UN charter of human rights. No religion accepts this either. When some civil organizations and tribe leaders gathered outside Camp Ashraf to demonstrate, members of the cult threw stones at the participants and consequently some were injured. Further, the cult leaders accused them of being mercenaries. Witnessing such an immoral act, which goes against every human value, convinced us to be more persistent in supporting the just and rightful demand of the families, and to arrange for more demonstrations. We have to inform you that the presence of this organization in our territory is highly undesirable since this organization has committed grave atrocities against the Iraqi people. After this latest wicked act by the MKO, the civil organizations and tribe leaders demanded that the Iraqi government, parliament and also the Iraqi Criminal Court should prosecute the leaders of the organization for the crimes they committed against the Iraqi people in the past. There are several documents showing that members of the MKO have been involved in terrorist activities inside Iraq. As a support committee we have handed over these documents to international organizations and the UN and we hereby inform world public opinion of the secrets behind the presence of this organization in our country. The question is, ‘would the countries which back this organization wish to allow them to stay in their own country as refugees’? The answer would be that every country as a sovereign state has its own rules and regulations. So, yes, we also have rules and regulations which do not allow them to stay in our country. Anyone willing to back them should welcome them in their own country. We seek peace and we will not tolerate a terrorist organization in our beloved country. The Foreign Minister of Iraq said Wednesday that the Iraqi constitution does not allow the existence of any "terrorist" organization on Iraqi territory, including the People's Mojahedin Organization, stressing that the Iraqi government is determined to impose its sovereignty in the country and no other policies will be allowed to be imposed. 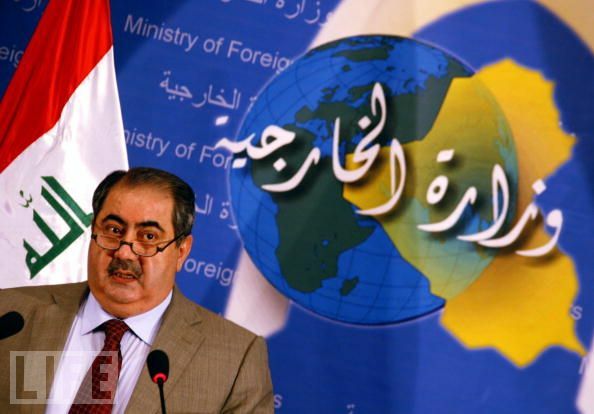 At a press conference with his Iranian counterpart in Baghdad, attended by "Alsumaria News", Hoshyar Zebari said, "The issue of MEK was discussed by the Prime Minister more than once, and we suffered more than any other party from the evils of armed organizations on our territory," saying that "the Iraqi Constitution does not allow the existence of any armed organization on our land to exercise acts against another country." Zebari said that "the Mojahedin-e Khalq terrorist organization is like many other armed terrorist organizations," adding that "the government is determined to impose its sovereignty and not allow any party to impose its policy orientations." The civil society organizations from different provinces of Iraq, had organized a demonstration on 11 December last, in front of Camp Ashraf, home to more than 3400 members of the PMOI in Diyala, demanding the Iraqi government to develop mechanisms to remove members of the organization from Iraq. وقال هوشيار زيباري في مؤتمر صحافي عقده مع نظيره الإيراني ببغداد وحضرته "السومرية نيوز"، إن "موضوع مجاهدي خلق ناقشه السيد رئيس الوزراء أكثر من مرة، ونحن عانينا أكثر من أي طرف آخر من شرور المنظمات المسلحة على أراضينا"، معتبرا أن "الدستور العراقي لا يسمح بوجود أي منظمة مسلحة على أراضنا تمارس أعمالا ضد بلد آخر"
hostages in Camp Ashraf refuse to go away. Zionist-backed Mojahedin-e Khalq revert to type. The families of MEK cult members held hostage in Camp Ashraf are subjected to violent attacks by Massoud Rajavi’s Special Guard. The cult enclave is surrounded by the families of the people inside who are asking to have contact with their loved ones. The worst fear of Rajavi is for his cult members to have contact with the outside world. Over the past few months the families have begun approaching the fence all around the camp perimeter trying to engage with the members inside and talk with them. Now, in order to prevent them from contacting the ordinary members, Rajavi has introduced an extra security system to try to force them back. Undaunted the families continue to approach the fence and engage with the MEK’s security force. The systematic nature of the security patrol is clear. The MEK have introduced extra lookout posts around the perimeter mounted on trucks. There are also mobile patrols which travel the perimeter road watching for the families. When the patrols discover the families approaching, the MEK security forces are mobilised. These forces are organised. They do not engage with the families but are immediately hostile. 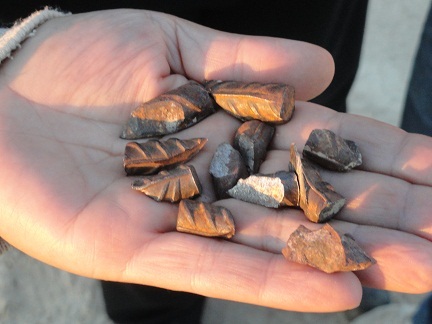 They quickly escalate the encounter from aggressively shouting at the families to go away and swearing at them, to throwing stones and using catapults to launch missiles (some of them made of metal scraps). This is not a spontaneous reaction but is a deliberate action to prevent the families getting close to the perimeter. 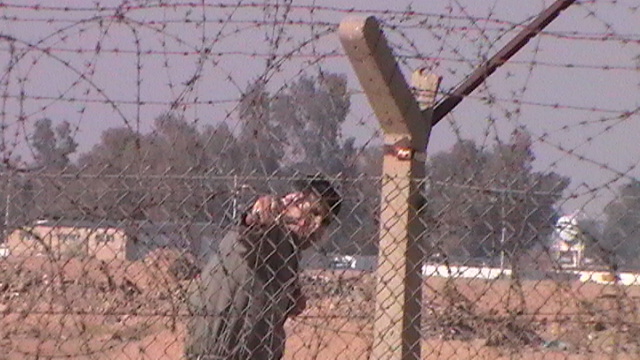 It is notable that the perimeter fence has been added to with the extension facing inward and the barbed wire all on the inside. This is clearly designed to keep people in rather than prevent anyone outside from entering the camp. It should be plain from this that Camp Ashraf has become a prison for the ordinary members. Families of Mojahedin Khalq (MKO, MEK, NCRI, Rajavi cult) members trapped inside the camp by cult leaders have spent ten months trying to get access to their relatives. Through loud speakers they have appealed to the camp leaders and sent messages of hope and love for their relatives. In response, the MEK have used sophisticated US made parasite equipment to deflect the messages and create an impossible atmosphere for anyone outside the camp. The MEK were eventually forced to remove the illegal equipment when they realised that reporters were present at the camp. During these four months they have asked for help from all the major international agencies concerned with the camp; UNAMI, ICRC, UNHCR, etc, including the American Ambassador to Iraq, Christopher Hill. So far, despite their clear humanitarian case, no help has been forthcoming. Now in a bid to force the families to give up and leave without meeting their loved ones, Massoud Rajavi has devised a plan to single out each of the hostages whose relatives have come to find them and one by one sit them in front of a camera to swear at and abuse their own families as well as the Iraqi government. Sadly, the hostages inside the camp have spent over two decades incommunicado and have had no contact with the outside world through media, telephone or the internet, and have certainly had no contact with their families in all that time. Following is one of the forced video sessions broadcast by the Washington-backed terrorist cult leaders in which Mohammad Karimi has been made to sit before a camera without his military uniform, he is seated somewhere like a gymnasium inside the garrison. His speech is marked by MKO-speak and cult jargon as he swears at and insults his own sister and the Prime Minister of Iraq. Karimi claims that he is at war with Iran and that Iran’s leader (Ayatollah Khamenei) and the Prime Minister of Iraq (Nouri Al Maliki) have been defeated simply by him sitting inside the camp and refusing to see his sister. We should not forget that these people have been used and exploited by Rajavi and Saddam for over two decades. 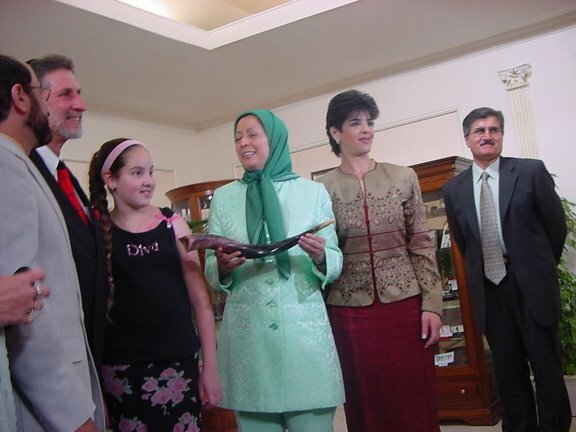 When Rajavi and his wife (co-leader of the cult) ran away just before the arrest of Saddam, they abandoned these people to be used as hostages and bargaining chips. Now over seven years after the fall of Saddam Hussein, these people are still kept incommunicado and are imprisoned in the camp by the leaders of the cult with the backing of the USG and its agencies in Iraq. Any right minded person can clearly see in his eyes the pain of swearing at his own sister. Any right minded person can understand that if this was not a forced video confession, he could have been allowed to walk to the gates of the garrison without a prison guard and tell his sister to go home and that he is happy to stay there. Any right minded person can see that the problem for the camp and Rajavi as its leader is not whether they want to engage in political activities or not (in that case the first step would have been to escape self-imprisonment in the deserts of Iraq), but their fear of the families and human rights activist trying to make contact. Rajavi must answer to the outside world why no marriage is allowed among members, why no children have been born to any members for twenty years, why there are not even newspapers, or radio, no TV, no telephone or email to contact the outside world, etc. Why do those who have managed to escape the camp all report severe human rights violations against the people stuck inside without any recourse to help or contact? The backers of Rajavi and other remains of Saddam’s era (especially, the infamous Ros-Lehtinan in the US House of Congress, Struan Stevenson in the European Parliament and Robin Corbett in the British House of Lords) should hang their heads in shame for supporting and endorsing such severe abuse of human rights of hostages in front of the eyes of their families. Following is the broadcast forced video of one of the victim hostages, Mohammad Karimi tortured to sit in front of a camera and play as instructed, including swearing at his own sister whose only 'crime' is that she has been sitting outside the camp for the past four months hoping to see him. 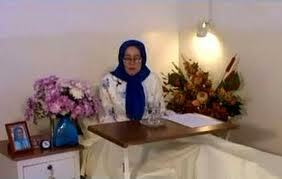 Last week a video was broadcast by the Mojahedin Khalq on their website showing Marzieh Hemmati. In this video Marzieh is stressing that she has freedom of choice – whilst in her hospital bed fighting a losing battle with death! Marzieh Hemmati is the last surviving child of the Hemmati family in Iraq. Two other members of this family have been murdered by the ruling regime in Iran, and two others have been killed by the Mojahedin Khalq (MKO, MEK, NCRI, Rajavi cult) ideological leader in Iraq. Now that Marzieh is fighting death in Camp Ashraf, the Mojahedin Khalq leaders are trying to invent documents in favour of their ideological leader as they see that Marzieh is close to death. A week before the broadcast of this video in Mojahedin Khalq outlets, Marzieh Hemmati made some contact with her family from Iraq. The contacts revealed that she was in a hospital in Baghdad and would be undergoing major surgery on a tumour in her stomach. The phone call made by Marzieh Hemmati from one of the best hospitals of Baghdad with the best doctors and facilities (as was claimed over the phone and has been recorded) prompted the family to enquire into the case. How could it be that at exactly the same time that the Mojahedin were claiming that the Iraqi forces were refusing to allow their sick and needy to be transferred to hospital (and they were carrying out demonstrations in western countries on that issue), Marzieh has been admitted to the best hospital in Iraq? Over the phone Marzieh claimed that every possible facility was available to her and she would undergo surgery on November 14, 2010. - There is some kind of plot. The Mojahedin Khalq does not usually have humanitarian feelings but they do play with people’s feelings. We should be cautious. - In the latest contacts a few months before this, Marzieh called all her family members “members of the Iranian Revolutionary Guards” [Translator: activation of cult phobias in the MKO is standard when members contact their families]. So what has happened now that she is been asked to call the same people in a friendly way? - one of the family members who spoke to Marzieh believes that the kind of talking we witnessed was very much as though saying her goodbyes and was the last contact she was making. It seems her sickness is very grave and she may not survive the surgery or may die a short time after the surgery. The MKO may have asked her to call so that after her death the family of Hemmati would at least stay passive or they may even be brought to participate in yet another of the MKO’s disgusting shows that they perform on their satellite TV and websites! What is being said in this video is a confirmation of what she said over the phone except that in the video it is being said in the cult jargon which the Mojahedin usually use. MKO leader (Massoud Rajavi) as usual is acting too clever for his own good. We, the family, of course have nothing to do with him. But one should not forget that this kind of misuse of the situation of a sick person on her death bed and the propaganda usage of the feelings between family members - it is not going to work any more. Marzieh should of course be free to choose what she wants, but no reactionary force should be free to misuse and play with the feelings of others. We seriously recommend to the ideological leader (Massoud Rajavi) that before trying to begin any new games, he should have a glance at his past deeds and his messy history. For us the results of this ideological leader and his deeds are crystal clear. 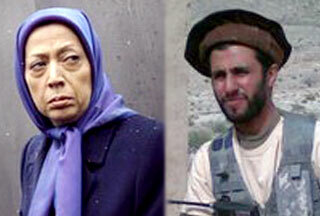 It is also clear for us that Marzieh Hemmati is seriously ill and her death is unavoidable now! The Mojahedin claim that the advanced nature of her illness is as a result of the Iraqi Government placing limits on them. Even if you produce evidence and documents to support this claim, your history shows another story. The Ideological leader was playing God in the time of the rule of Saddam Hussein. He would do whatever he wanted with his opponents. According to his own admission, the influence they had in Saddam’s regime would shock the Iraqis themselves. When, in the time of Saddam, they gave the body of Hayedeh Hemmati to her family in Switzerland, the Swiss doctors emphasised that if Hayedeh had been brought for medical help a year sooner, she would have survived. But two months before the death of Hayedeh, in the year 2000, when the Ideological leader (Massoud Rajavi) was certain that she would not survive, he allowed her to be transferred to Switzerland where her family lived. Hayedeh Hemmati died because the Mojahedin Khalq refused her access to medical help. You deliberately sent Majid Hemmati over a minefield in total darkness so that you would meet your number targets while sitting in Camp Ashraf. And did your organisation meet its target? Nahid Hemmati (Asefeh) the older sister of Marzieh Hemmati: Mrs. Rajavi! Can you remember in the year 2000 when I wrote to you personally and said that the doctors are stressing that after the death of Hayedeh, her sister Marzieh should undergo medical checks, especially on her lungs? Didn’t I attach the medical report to you through Mahvash Sepehri (one of Rajavi’s lieutenants)? And can you remember that no-one, including yourself, ever answered my requests? In 2003, I came to Paris. You, as usual, made some silly gestures as you do, and then Mahvash Sepehri told me: “you’d better go to Iraq if you want to bring Marzieh here”! And she was suggesting this at a time when the leaders of your disgusting organisation one after another were running away from Iraq! Mrs. Rajavi! Your organisation has put the video of my sister on your sites. I have tried hard to make some contact with you and ask simple questions about my sister’s illness. But, as usual, you have refused to give any answer. You have not even accepted to listen to my questions. You hung up the phone on me. You are pretending that you are doing these in a legal framework but it is now about two decades that the name of the Hemmati family has been misused by you. This is certainly something that can be followed legally and we see no other choice except doing so. Mr Mehdi Fathi, a hostage of the Washington backed Mojahedin Khalq (MKO, MEK, NCRI, Rajavi cult) terrorist group died in Camp Ashraf (CIA protected MKO HQ) in Iraq one year after the Rajavi cult (Mojahedin Khalq) leaders refused to allow his return to France for medical treatment. 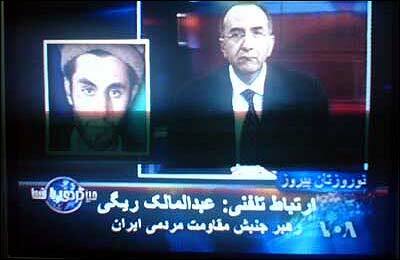 The leader of the Mojahedin Khalq is a fugitive. He has been in hiding since the fall of his last benefactor Saddam Hussein. But his third wife Maryam Azodanloo (Rajavi), based at the European HQ of the terrorist cult, today blamed the Government of Iraq and Iraq’s Prime Minister Noori Al Maliki, for the death of the hostage. 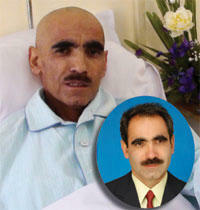 According to the statements issued by the cult leaders, the deceased, Mehdi Fathi, had been suffering from cancer. He was admitted to Baquba hospital when it was too late for treatment. But the demand for his transfer to his home in France was denied by the leaders of Mojahedin Khalq (Who themselves live under protection of American and Israeli secret services in Paris). The news of the death of yet another hostage of the Washington-backed Mojahedin Khalq terrorist organisation coincides with a meeting tomorrow morning of Iraqi tribe leaders, Iraqi dignitaries and officials as well as media representatives and reporters at the gates of Camp Ashraf. The meeting includes the families hostages have picketed outside the camp for the last 10 months demanding the simple right to visit their loved ones. An official medical source in Diyala province said that a member of the Iranian group, Mojahedin Khalq (MKO, MEK, NCRI, Rajavi cult) has committed suicide on Tuesday evening by hanging himself inside his room in Camp Ashraf, north of Baquba. He also added that the claim of suicide (by the leaders of the camp) is being investigated and the real cause of death will be announced soon. In an interview with “Alsumaria News” the source said that “a medical team stationed inside the Camp Ashraf, 55 km north of Baquba received a communication from the camp about a case of suicide of one of the members of Mojahedin Khalq. The case is under investigation to verify whether the man has committed suicide by hanging himself inside his room”. The source also said that “another investigation is underway to determine the main reason that has prompted someone in the Iranian opposition to commit suicide in this way”. The Iraqi forces took control of the camp and have provided protection to the camp since 2009. During this time there have also been several clashes between Iraqi forces and members of Mojahedin Khalq which has ended with the occurrence of casualties on both sides. This documentary takes us beneath the surface of acts of terror against Iran and shows how Iranians have been targeted by various terrorist groups, some of which enjoying the support of human right organizations. Did Giuliani And Co. Provide ‘Material Support’ To Terrorist Group? The four GOP figures appeared at a rally organized by the French Committee for a Democratic Iran, a pressure group formed to support MEK. As for the MEK, after the GOP’s victory in November I predicted that we’d be seeing more efforts by pro-war conservatives to set the group up as an Iranian version of Ahmad Chalabi’s Iraqi National Congress. Very much like the INC, the MEK has no genuine base of support in their own country — its real base is found among American neoconservatives. The MEK’s neoconservative supporters continue to push for it to be taken off the State Department terror list, which it has been on since 1997. One of the many ironies about the MEK is that, for all the groundless allegations that hawks made about Saddam Hussein’s connections to terrorist groups during the runup to the Iraq war, the terrorist group with perhaps the closest links to Saddam was one that the hawks themselves supported. Human Rights Watch also released a report in 2005 detailing the group’s record of subjecting dissident members to torture and solitary confinement. Leaving aside the spectacle of prominent conservatives going abroad to criticize the administration’s foreign policy on behalf of an Iranian exile group largely despised by Iranians, there’s actually a real question here of whether Giuliani, Townsend, Ridge, and Mukasey have violated U.S. law in regard to “material support” for terrorism. In a case that weighed free speech against national security, the court voted 6 to 3 to uphold a federal law banning “material support” to foreign terrorist organizations. That ban holds, the court said, even when the offerings are not money or weapons but things such as “expert advice or assistance” or “training” intended to instruct in international law or appeals to the United Nations. Over to you, Attorney General Holder.